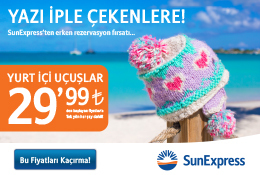 Antalya is already known as the most popular touristic destination in Turkey, especially in summer, and in recent years has created a new attraction in golf. 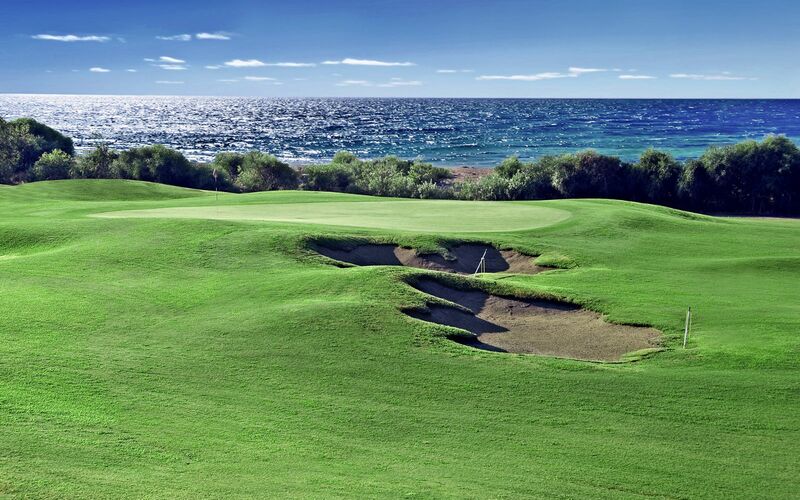 Now attracting many golf enthusiasts from all over the world – in addition to travels – thanks to a selection of excellent courses, the district of Belek has become a golfer’s European paradise in just 20 years. Situated on the Mediterranean coast, which resembles a paradise of bays, Belek offers visitors many alternatives amongst the luxury hotels and golf courses that are hidden in them. The biggest golf course in Turkey, the Gloria Hotels & Resorts combines an all year round golf experience with a pleasant vacation in the Mediterranean climate. This 45 hole ( two 18 hole and one 9 hole ) golf course, designed by architect Michel Gayon , is the biggest course to feature as part of a hotel in Europe. Titanic Golf Club, within the structure of Titanic Hotel, lays bare Belek’s naturel atmosphere with it’s golf courses surrounded by forest, sea and river. Titanic Golf Resort is the only golf resort which has the seashore in Belek and has different landscape features in every hole. 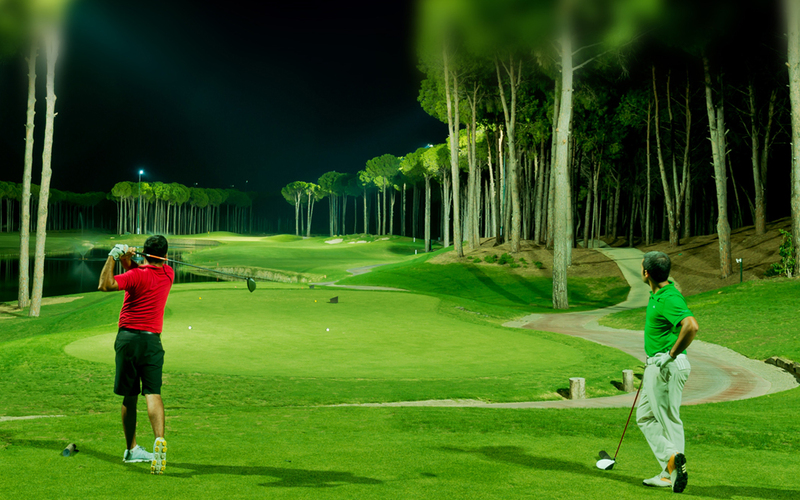 The first 27 hole course of Turkey offers golf enthusiasts opportunity to do sports and various other activities. 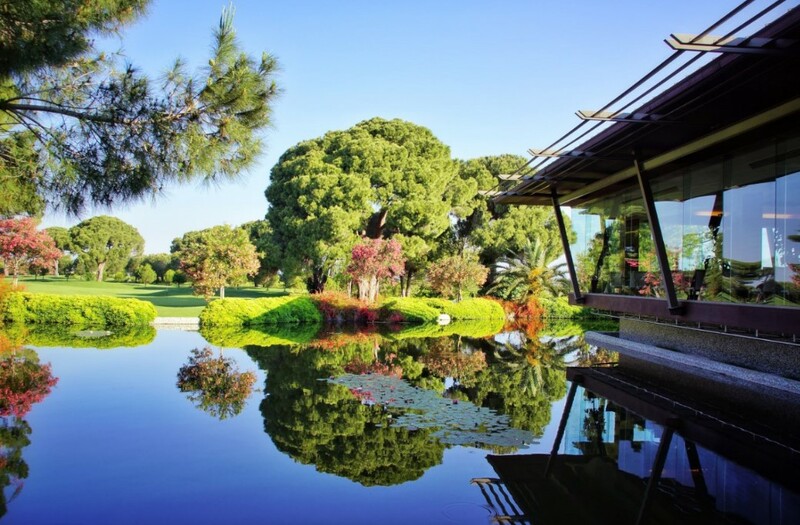 The Carya Golf Club dazzles golf enthusiasts with it’s naturel setting amongst pine trees and within view of sparkling blue sea. The Regnum Carya Golf & Spa Resort is only 25 km away from the airport, so you’ll almost certainly have time to hit the links on the very day of your arrival. In addition to being the first and only illuminated 18 hole golf course in Europe, The Carya Golf Club offers ideal opportunities for sport in Autumn.